The Nigerian Army on Monday indicated that it would likely reinstate Maj. Hamza Al-Mustapha into the service following the dismissal of a murder suit against him. 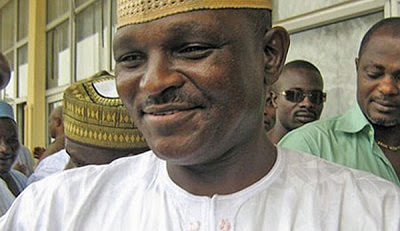 Al-Mustapha, the former Chief security Officer to former Head of State, late Gen. Sani Abacha, regained his freedom on Friday after 14 years in detention. A Court of Appeal, sitting in Lagos, discharged and acquitted him over an alleged conspiracy and the murder of Alhaja Kudirat Abiola, on June 4, 1996. The court had upturned a death sentence handed down on him on January 30, 2013, by Justice Mojisola Dada, of a Lagos High Court. Col. John Agim, Chief of Staff in the Directorate of the Army Public Relations told reporters: “With regards to Mustapha’s release, well, I want to confirm that he is still in the army. Thousands of people, including traders and commercial tricycle operators, thronged the Malam Aminu Kano International Airport, Kano, to welcome Al-Mustapha on Sunday.